Palm Beach International Airport is pleased to announce new, nonstop daily service to Providence, Rhode Island (PVD) on JetBlue Airways, to commence February 14, 2019. 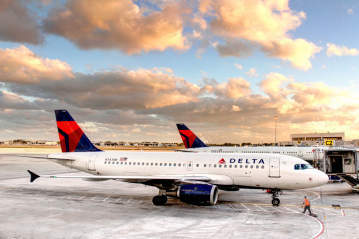 “The addition of Providence, Rhode Island to our daily, nonstop destinations is a terrific win for our passengers. Obtaining new service can be an arduous process; the Providence T. F. Green International (PVD) and Palm Beach International (PBI) teams have worked hard for this! 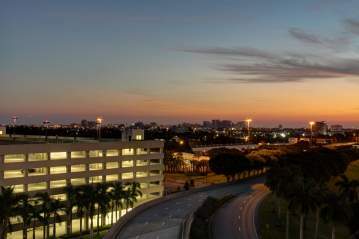 We are excited about the new and increased service with JetBlue and are confident it will be a successful addition to an already great partnership.” Said Bruce Pelly, director of Airports for Palm Beach County. 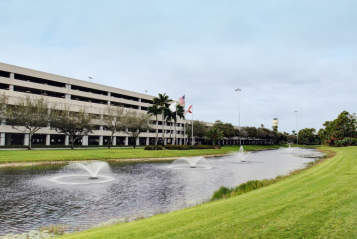 “Rhode Islanders will now be able to fly to West Palm Beach daily from TF Green Airport. The community has been quite vocal on the need to attain daily service to West Palm Beach so we are particularly pleased to make this announcement,” said Iftikhar Ahmad, president and CEO of the Rhode Island Airport Corporation. JetBlue Flight 858 departs PBI 8:20am EST, arriving PVD 11:07am EST. JetBlue Flight 857 departs PVD 11:50am EST, arriving PBI 3:07pm EST. JetBlue also announced increased winter service from Boston (BOS) to 8x daily, Hartford (BDL) to 2x daily and Westchester (HPN) to 5x daily. JetBlue offers year round, daily service to the following markets: Boston (BOS), Hartford (BDL), NYC (JFK), NYC (LGA), Newark (EWR), Washington (DCA), Westchester (HPN) and now Providence (PVD). JetBlue will operate the new route using its Airbus A320 aircraft featuring the airline’s award-winning service with comfortable seating; complimentary and unlimited name-brand snacks; more than 100 channels of free SIRIUSXM® radio programming and 36 channels of free, live DIRECTV® programming on personal seatback televisions; free Fly-Fi high-speed broadband internet service (a), access to JetBlue&apos;s Hub content on personal devices, on-demand first-run Hollywood movies and the most legroom in coach (b). For more information, visit the PBI’s website or check out the PBI blog. Follow PBI on Facebook, Twitter and Instagram for updates and announcements.